Above is a photograph I made as a present for a family member. This was an upcycled project, as I made this with fabric from a skirt. 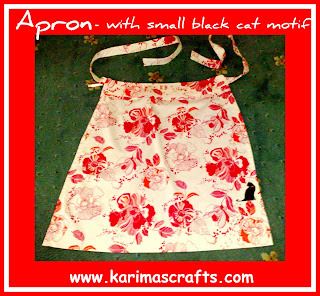 The whole apron is made from the skirt, I managed to have enough fabric to make the apron straps too. 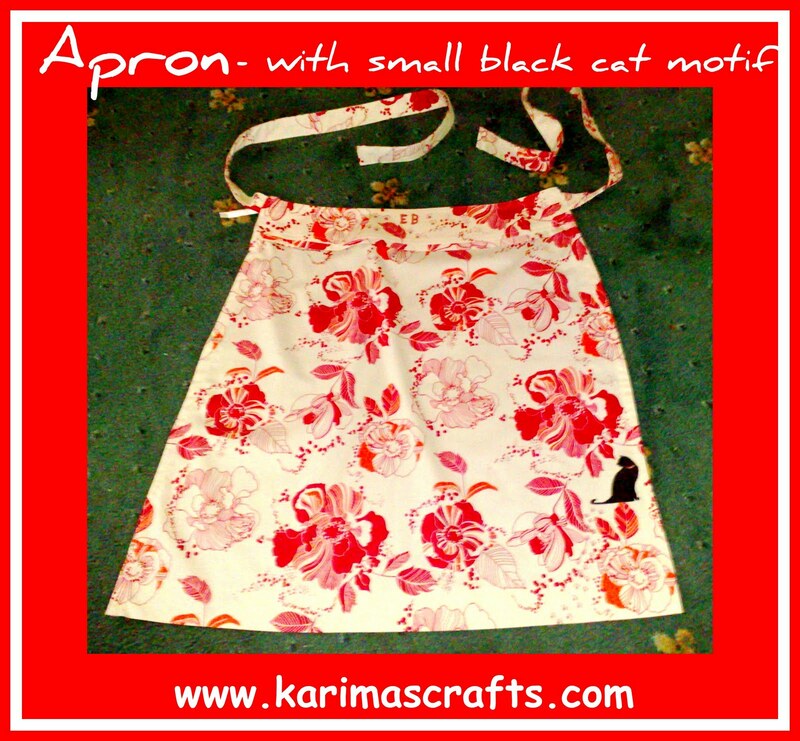 The lady who was given this present loves cats, so I fabric painted a black cat motif onto the apron. This was a very simple sewing project and didn't take that long. I didn't use a pattern, i just made it the best size from the fabric I had. The front part of the apron was the front part of the skirt which I just unpicked and hemmed. The straps were made from the fabric at the back of the skirt. Then I just attached them to the apron skirt. Very simplistic. I even had some spare fabric remaining, which was used to make headbands!